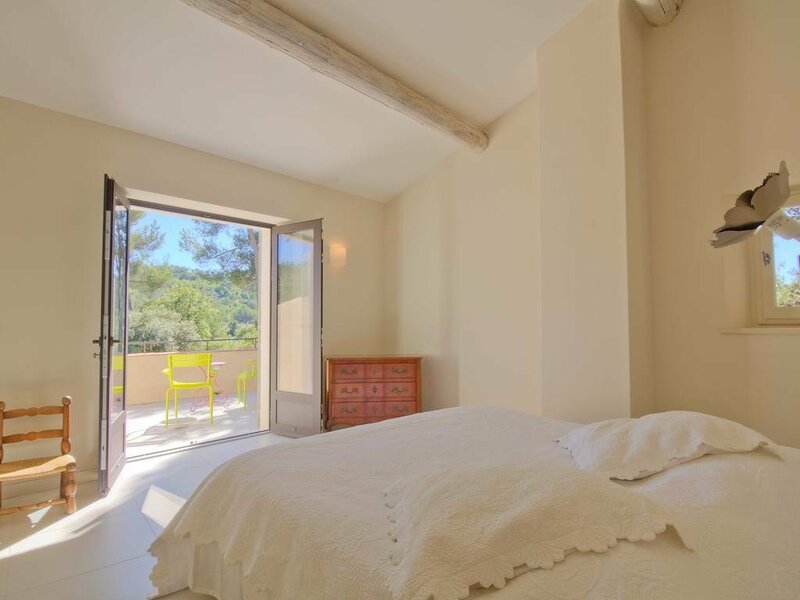 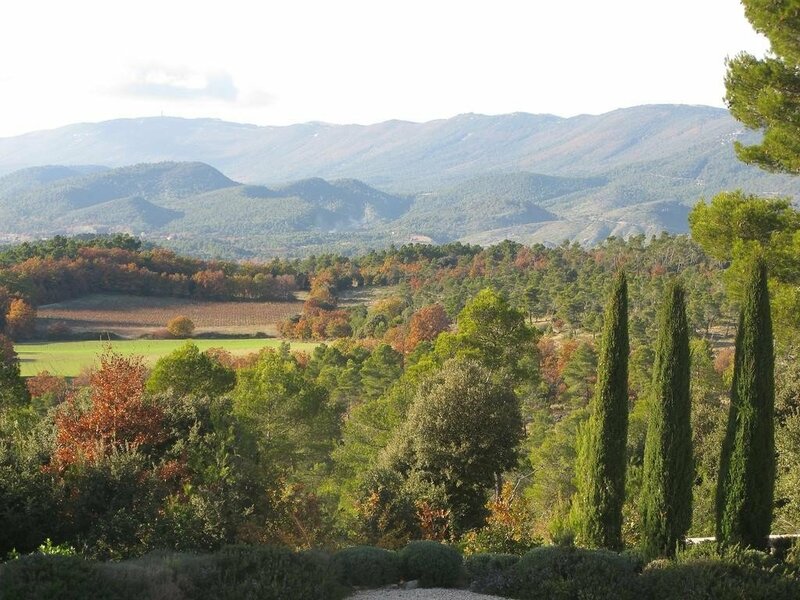 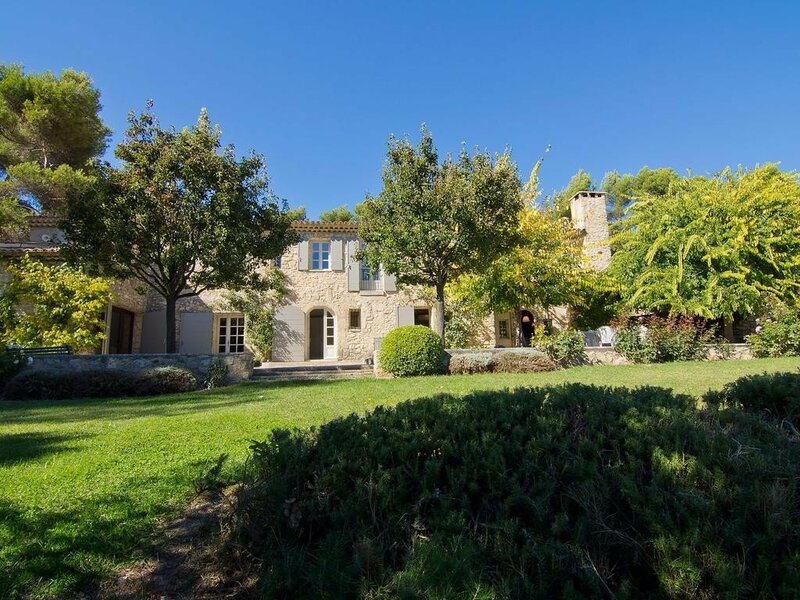 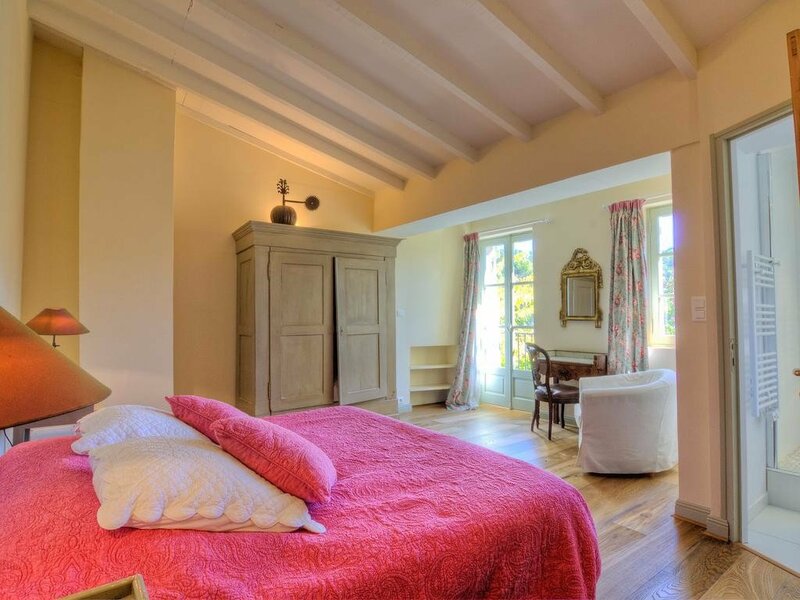 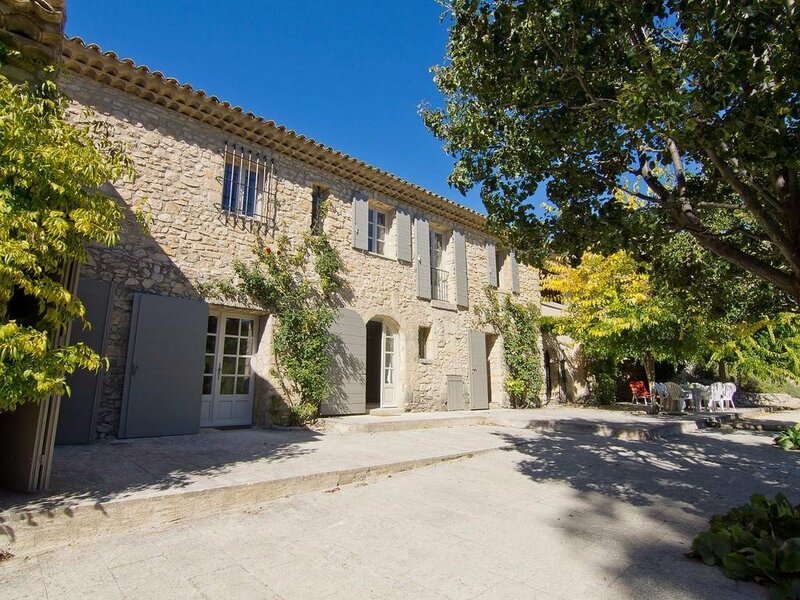 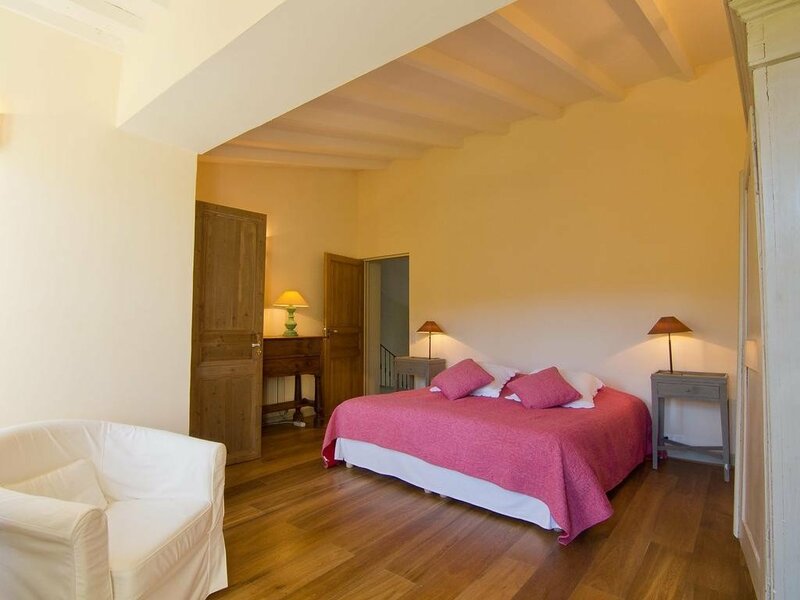 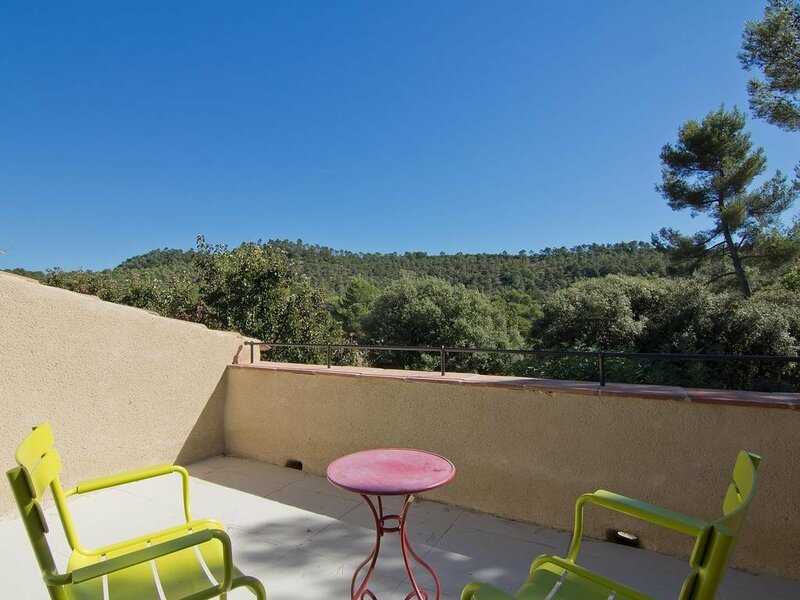 Domaine de Piégros is a beautifully peaceful agritourism estate in a secluded location near Aix-en-Provence. 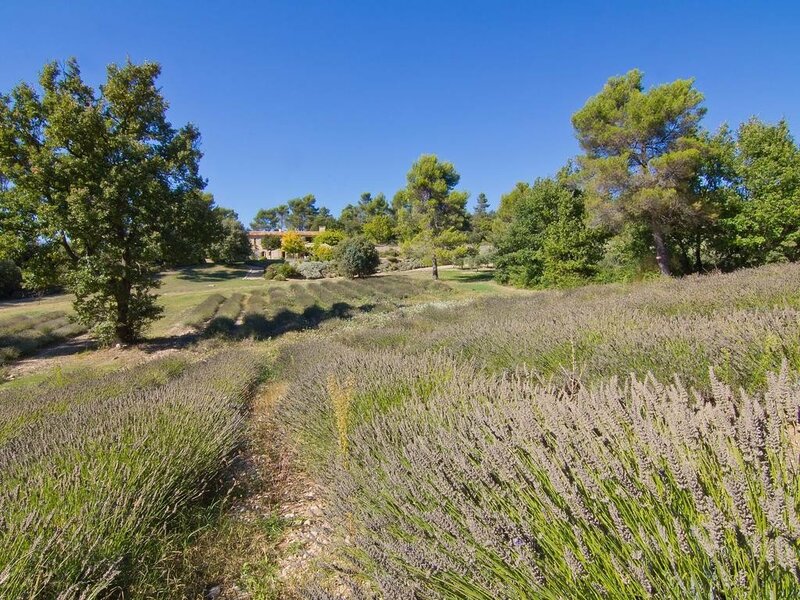 It is in the heart of the Luberon National Park and its famous lavender fields and the farmhouse itself is surrounded by its own lavender fields as well as woodlands, a lake and a full 85 acres of olive groves producing extra virgin olive oil. 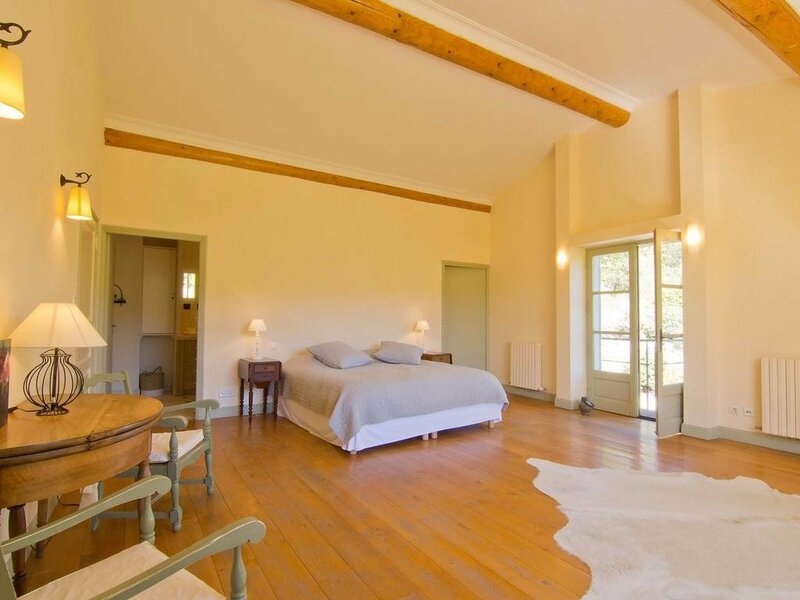 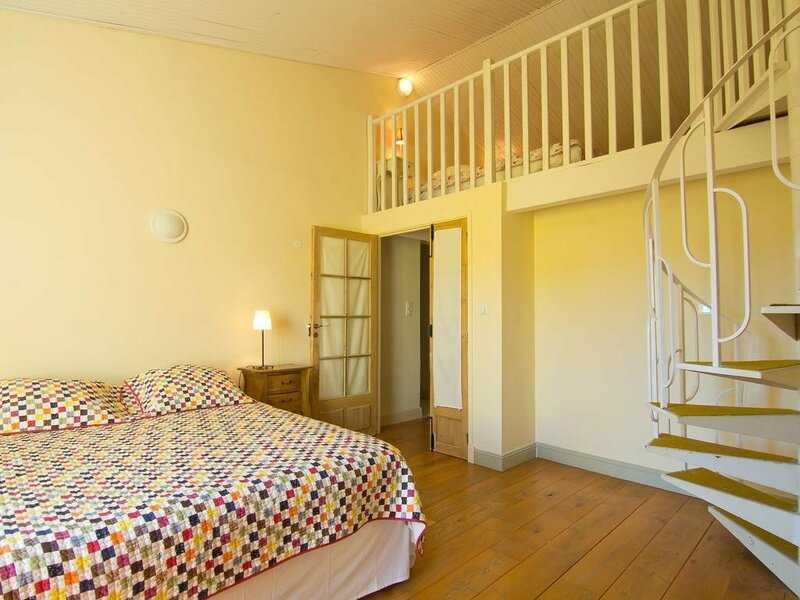 The accommodation is a six bedroom self catering farmhouse gite with a huge amount of space inside and out. 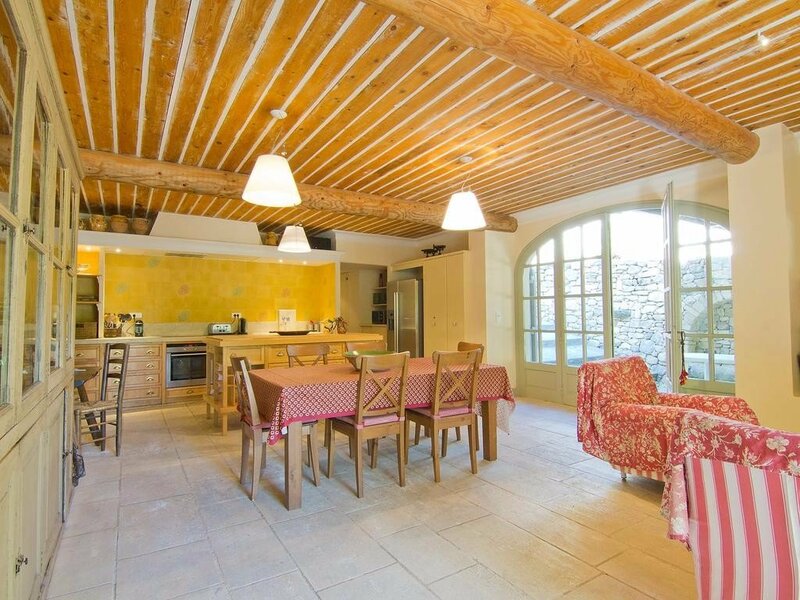 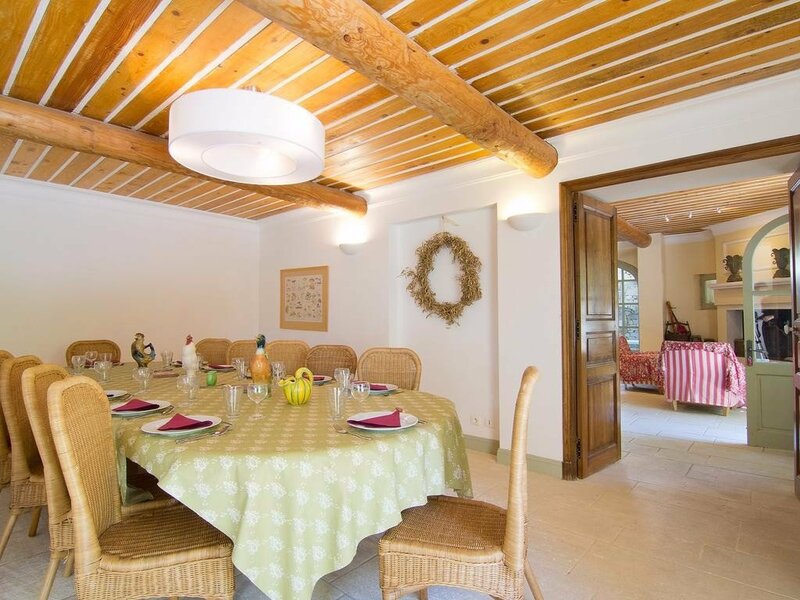 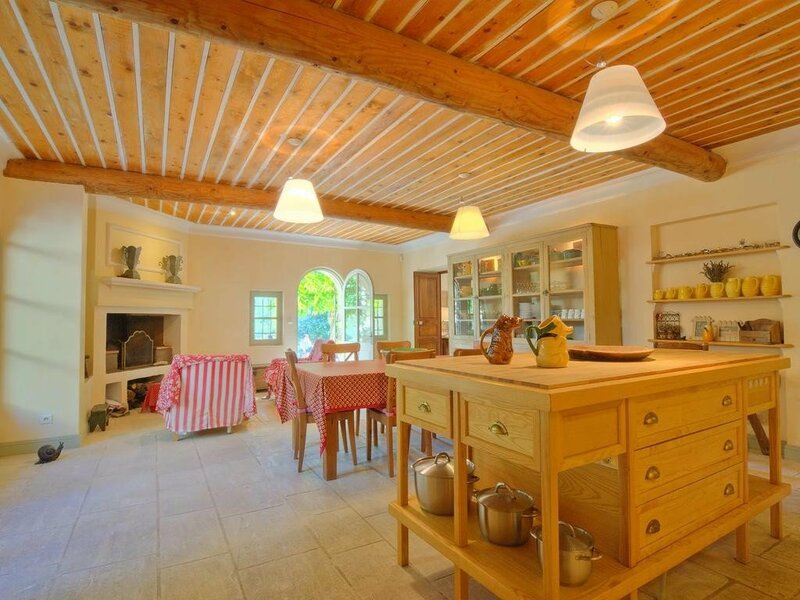 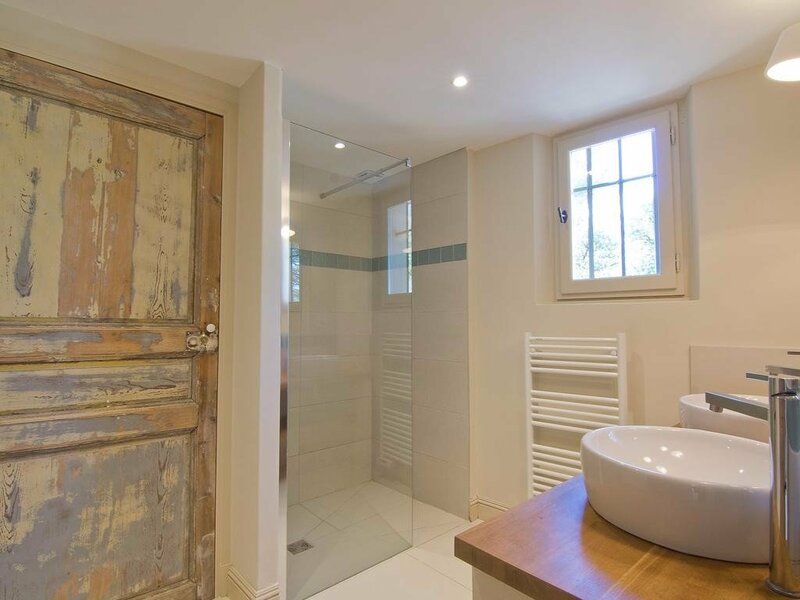 It is a traditional farmhouse that has been recently renovated and has a full range of modern conveniences, while also managing to maintain plenty of rural French charm. 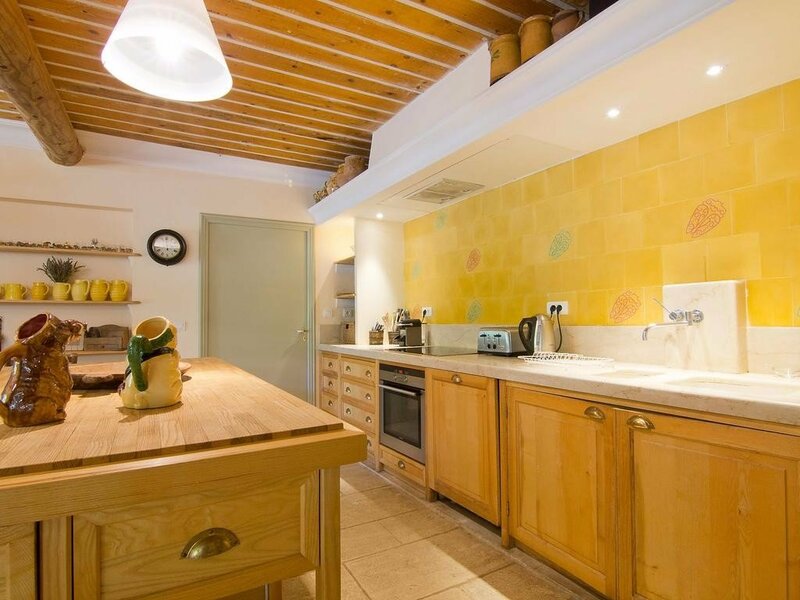 As well as the six bedrooms (5 doubles and a twin room) there is a large, very well equipped kitchen and two dining areas. 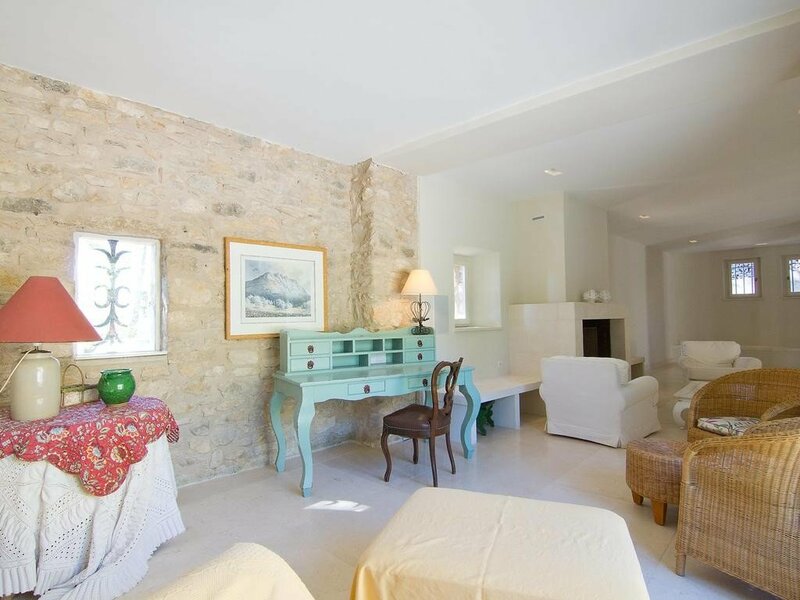 There’s also a spacious lounge area and a 250 sq. 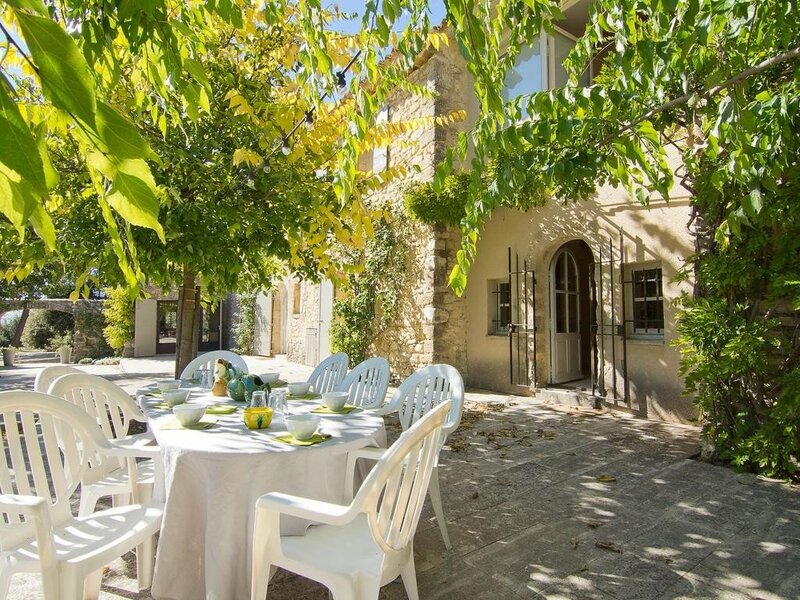 meter stone terrace outside with seating and dining furniture. 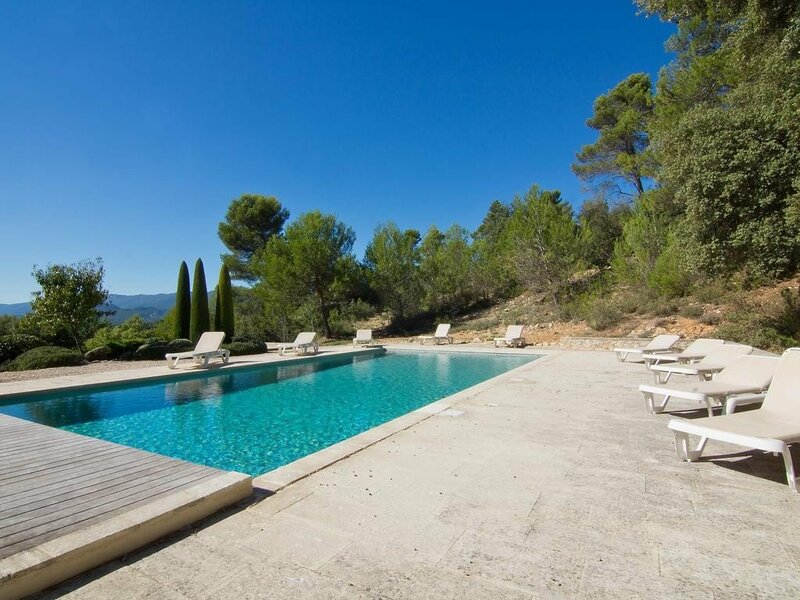 A few steps away from the house you’ll also find a nice outdoor swimming pool with sun loungers. 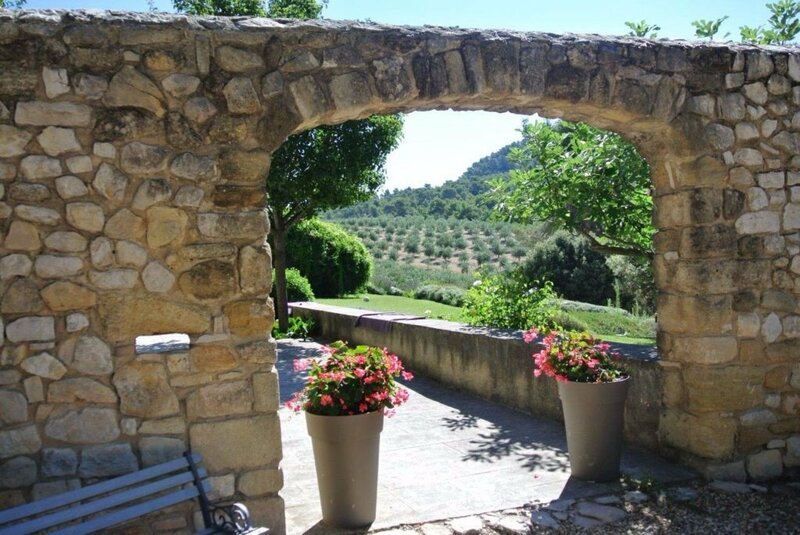 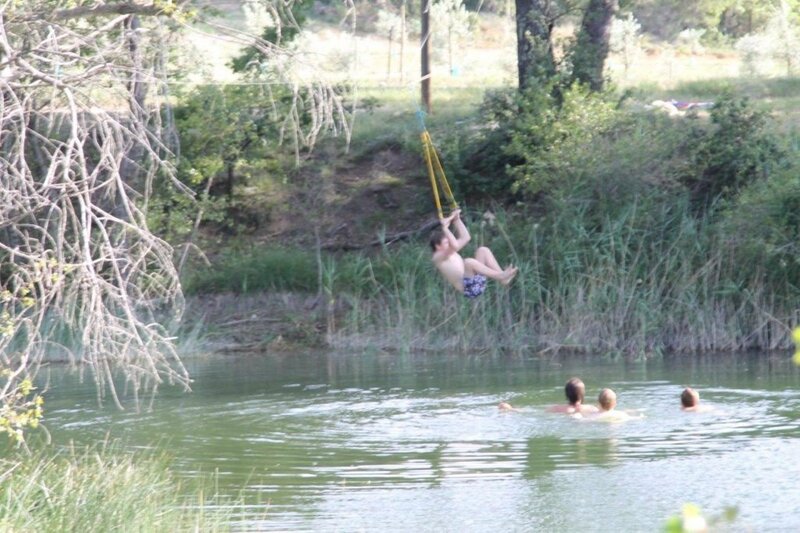 There is also a lake in the grounds, a boules pitch, and, as mentioned before, acres of olive groves, lavender fields and woods to explore. 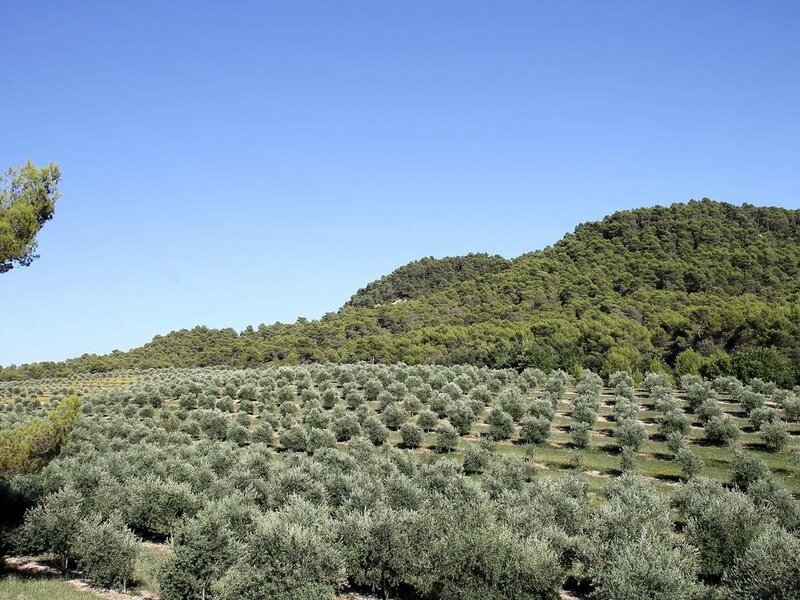 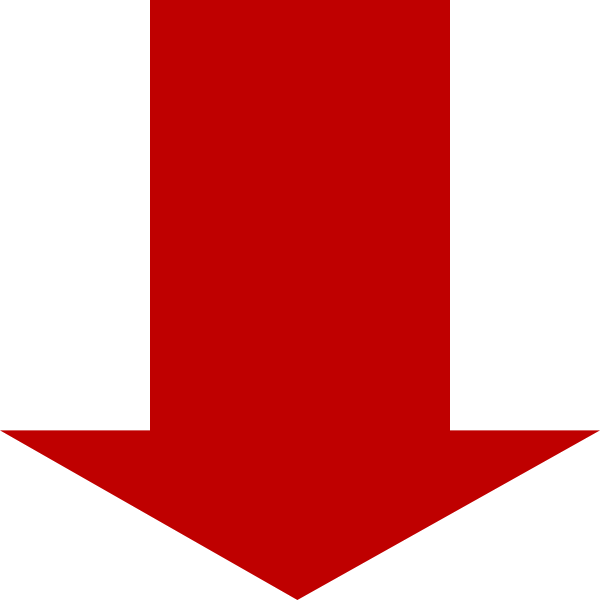 It is a working farm but outside of olive harvest time (September to November) the work is fairly low key and you can have as much or as little interaction with the farm work as you wish. 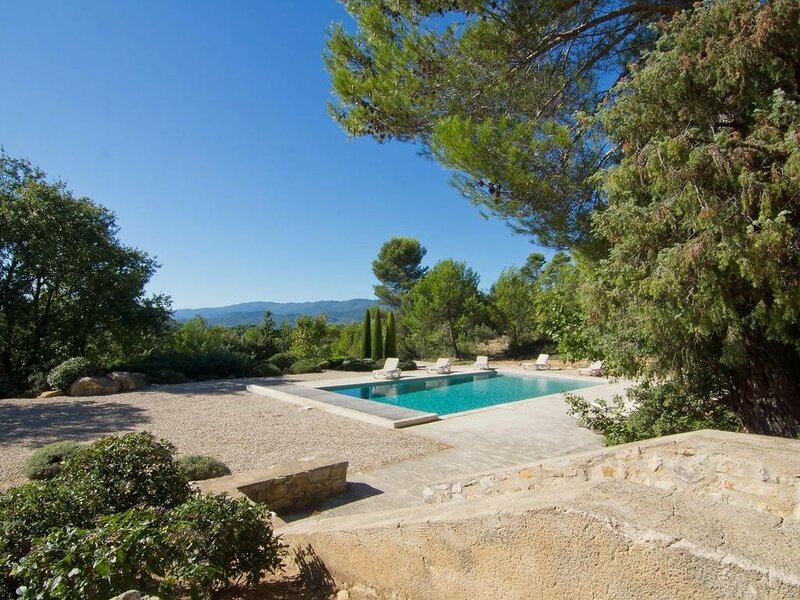 For visitors looking for a rural retreat in Provence this location is almost unbeatable. 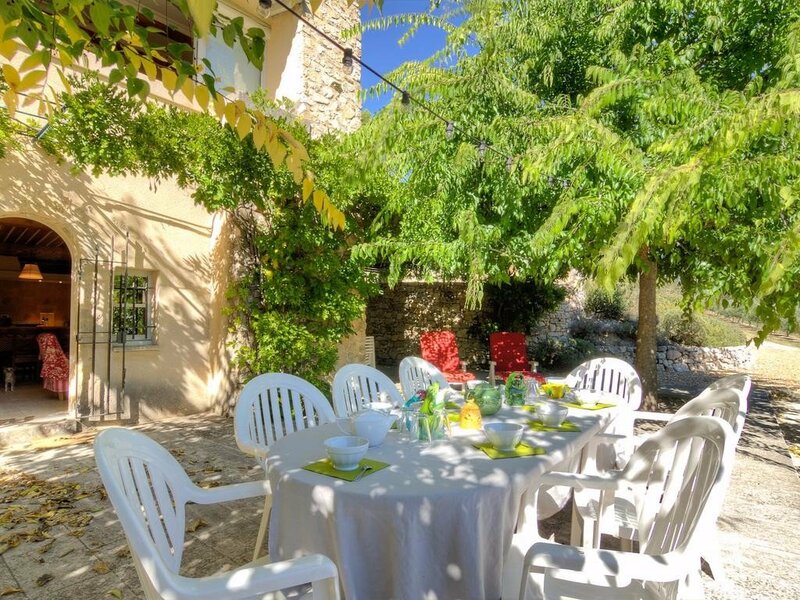 The farmhouse is inside the Luberon National Park, possibly Provence’s most serene rural area (you can read about the area and its famous lavender fields here), and to make it even more serene it has its own, nearly two kilometer private road leading up to the gite. 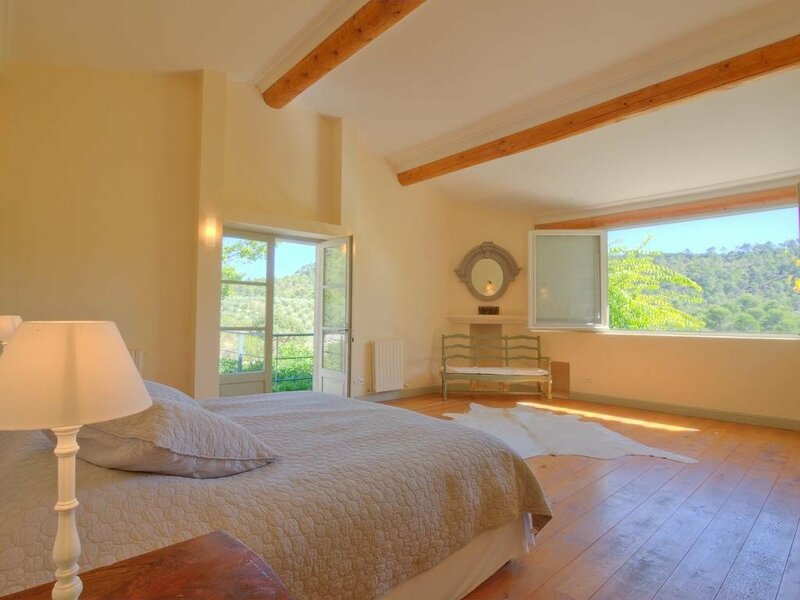 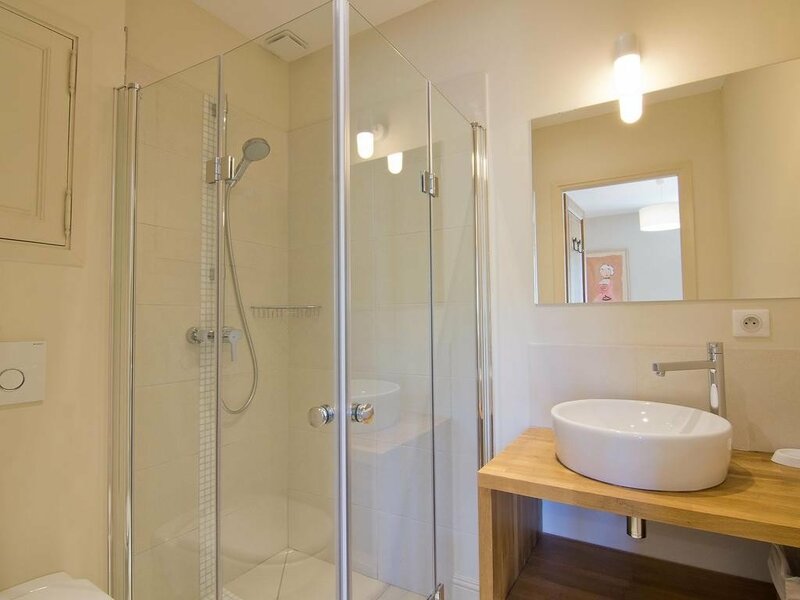 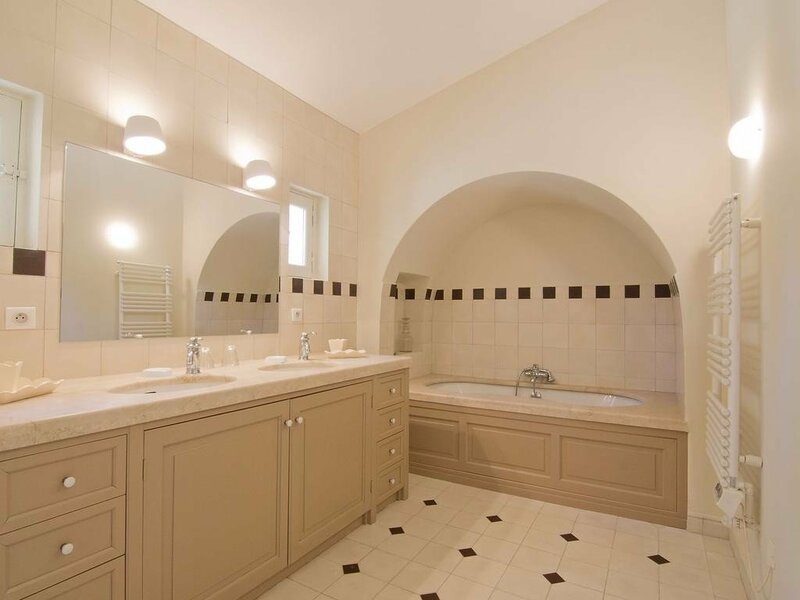 It therefore offers lots of privacy and is beautifully quiet throughout the day and night. 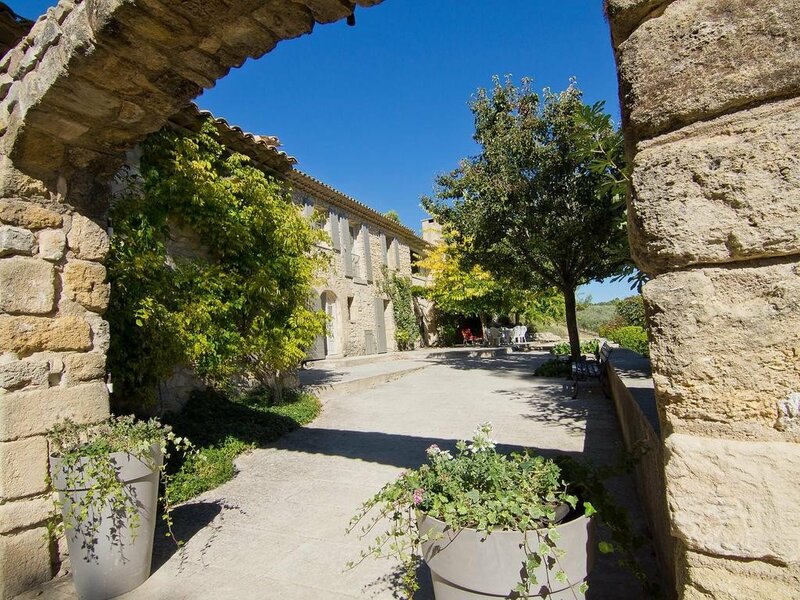 The medieval village of Grambois is just 5km away. 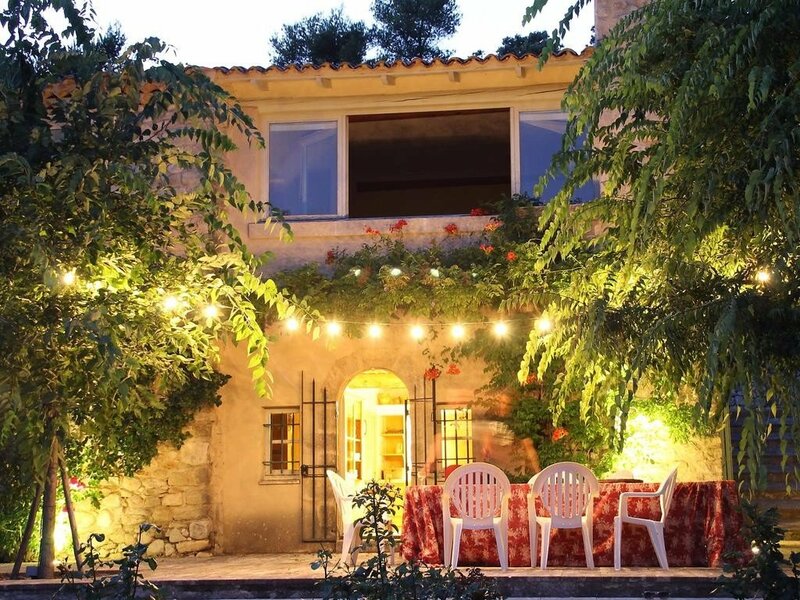 It is a classic Provençal commune that, as well as being a very lovely place to stroll around, has shops, cafes and restaurants and sees a steady trickle of tourists throughout the year. 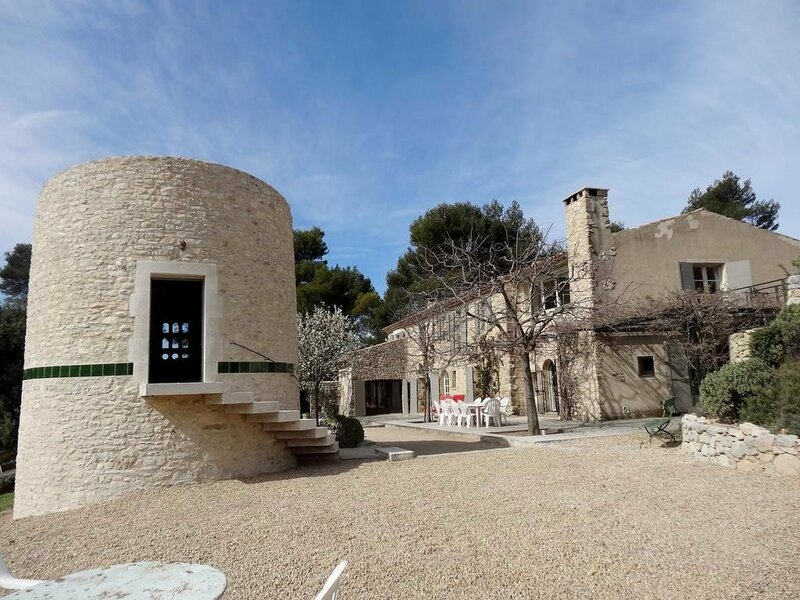 The famously cultured city of Aix-en-Provence meanwhile is less than 45 minutes away by car.